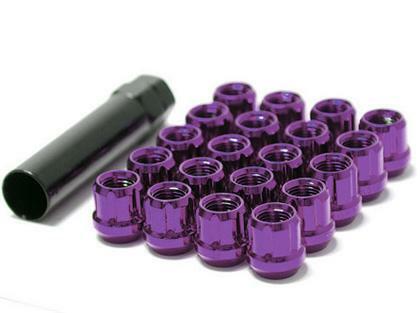 Project Kics Muteki Lug Nuts are a must for any high end wheels. Why updgrade your wheels and leave your lugs rusted and stock? 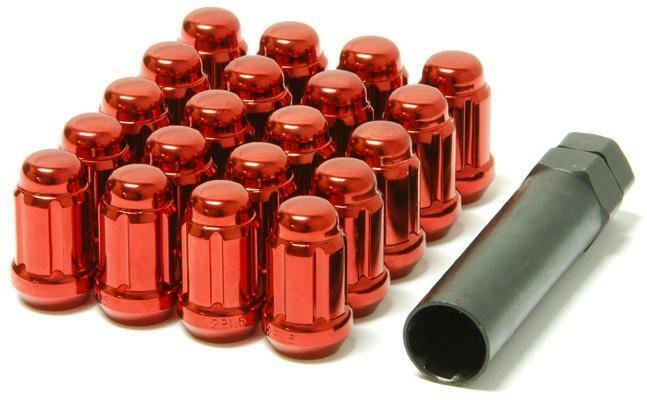 Compact size and shape (20mm diameter x 34mm height) to fit most tuner wheels with small lug holes. Each nut weight 36g, smaller size than typical nuts at 60g, at each wheel helps improve car driving function. Made by cold-forged 1008 steel which enables the nut to be made smaller and lighter, but strength to match or exceed other standard nut specs.